Back for its 30th edition, this year's Edinburgh International Science Festival celebrates 'Life, the Universe and everything else you can think of', and coincides with the 200th anniversary of Mary Shelley's Frankenstein. Over two weeks (Sat 31 Mar–Sun 15 Apr) around 200 events take place in more than 30 venues, which aim to encourage people to think about what it means to be alive in today's society. Scotland's Year of Young People 2018 is a focus of this year's festival, with a specially formed Youth Consultation Group co-creating content, and programming events including Existence: Life and Beyond, an interactive exhibition exploring the origins and future of life. Returning events include the Gastrofest series with shows from Great British Bake Off finalist Andrew Smyth, The One Show scientist Marty Jopson and others; the Festival's grand finale, the Mini Maker Faire; and Massaoke, a karaoke science night. New for this year is Eco2ville powered by EDF Energy, an outdoor exhibition on the Mound exploring a low carbon future. And Valentina's Galaxy – an intergalactic show for children aged 2–5 years from Frozen Charlotte – is a new commission, inspired by the experiences of women in space. It's part of the theatre programme, Science in the Spotlight, which also features John Hinton's musical comedy The Element in the Room (for ages 7+) and The Ornithopter (11+), a new 20-minute work-in-progress promenade piece from Tortoise in a Nutshell. 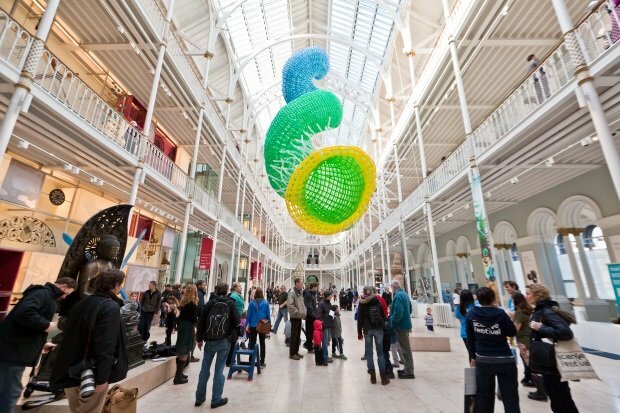 Edinburgh International Science Festival, various venues, Sat 31 Mar–Sun 15 Apr.